And now that Google finally announced a new Penguin rollout, it’s exactly the update many have been expecting. 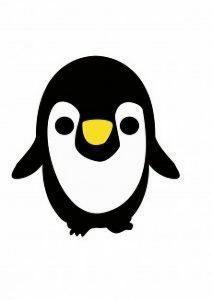 In the past updates, Penguin has served as one of the unique signals of the algorithm. Its mainly responsible for penalizing websites that are manipulating their digital footprint to get on the top positions of search results. After a series of algorithmic fluctuations, Google rolls out Penguin 4.0—and it’s now part of the core search algorithm. This will rollout in all languages. Websites penalized by Penguin will recover and see any significant changes they made on their sites only when Google rolled out new updates. That’s the drawback—Penguin updates only happen a year or so back then. With Penguin 4.0, updates will happen in real-time. This means demotions or improvements in organic rankings due to spammy links will happen as soon as Google re-indexes or re-crawls your site. You don’t need to wait for another Penguin refresh to see if the recommendations you’ve implemented were able to lift your penalty. The same applies when you’re doing unnatural link building, as Penguin 4.0 will be quick to catch onto your violations. If there’s one thing that website owners, webmasters, and SEOs fear the most about Penguin, it’s not being able to recover from it. Penguin 4.0 changes things a bit. According to Google, “Penguin now devalues spam by adjusting ranking based on spam signals, rather than affecting ranking of the whole site.” This reduces the instances of site-wide penalties; pages or sections with a spammy or an unnatural digital footprint will be hit with a penalty instead of the entire domain. Penguin 4.0 reacts to the kind of SEO you are doing. Penguin 4.0 reacts to the kind of SEO you are doing. If you’re doing it right, your site can go up the search ladder – especially if you’ve learned from your past mistake of gaming the algorithm. But if you’re still trying to trick Google, Penguin 4.0 will not back down from penalizing your site. Don’t game the algorithm (Google Rule #4) – Tricking Google will only fireback and cause you more problems. Balance your digital footprint – Disavow unnatural, low quality links pointing to your site. Get people to ask for your content – Don’t buy links. Don’t go for cheap SEO services – Only trust the experts to do your SEO. As the rules of digital marketing game continue to change, you need to solidify your SEO efforts so you can stay on the good side of Google and win the top spots on search results.